It’s been a busy week, with moving into a new workspace, assembling a team of people to work with and doing new designs for tables. The storefront on Ave B is coming along nicely, although I wish sometimes things could move a bit faster. I also recently taken up knitting! I want to make a hat so badly. Any tips are welcome on knitting in the round on circular needles. Other than that, I need to get a sun lamp because this weather is CRAZY! 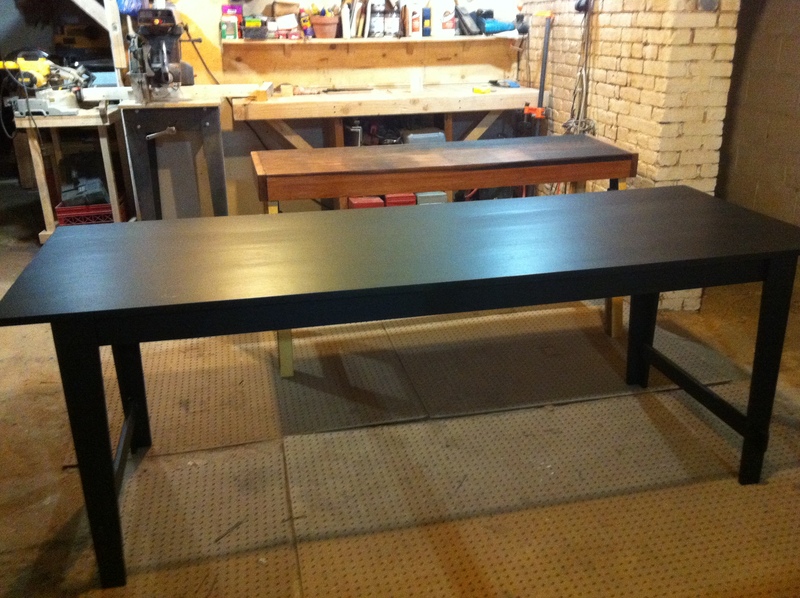 Check out some pics below for the latest table we did. This one is with a two inch top.